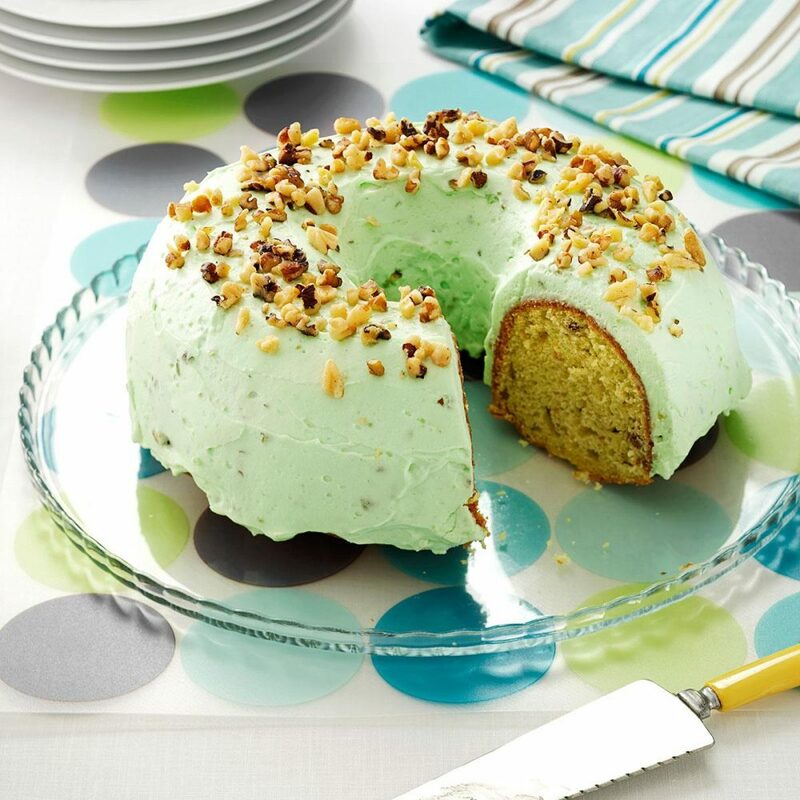 Women Fitness brings to you 5 healthy & green dessert recipes to eat on St. Patrick’s Day! In a large bowl, combine the cake mix, pudding mix, eggs, soda and oil; beat on low speed for 30 seconds. Beat on medium for 2 minutes. Stir in walnuts. Pour into a greased and floured 10-in. fluted tube pan. Bake at 350° for 40-45 minutes or until a toothpick inserted near the center comes out clean. Cool for 10 minutes before removing from pan to a wire rack to cool completely. In a large bowl, beat the cream, milk, pudding mix and confectioners’ sugar on high until stiff peaks form. Frost cake. Sprinkle with walnuts. Refrigerate until serving.